Clare House, the biggest house in Kilcolman townland, S of Shanagolden, Co.Limerick. See map and satellite close-up. Home of the McCoy family. They rented it from the Earl of Clare. Perhaps named after him. 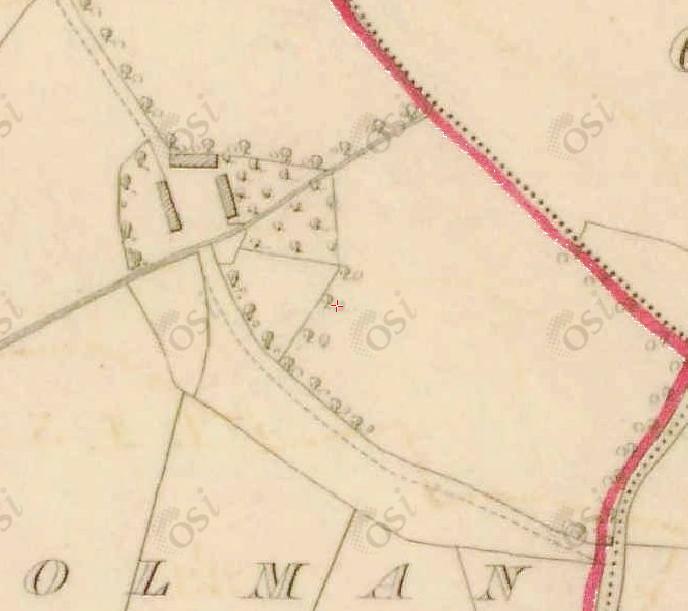 "Catherine McMahon" is listed in [Tithe Survey, 1833] as holding 90 acres in Kilcolman townland (almost all of the townland, would include Clare House). 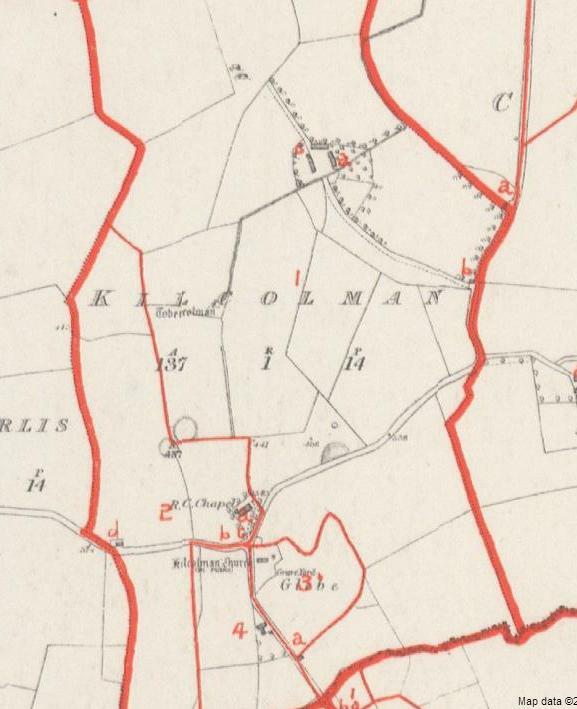 There is no McCoy in Kilcolman townland in [Tithe Survey, 1833]. Thaddeus McCoy is listed in [Griffiths Valuation, 1852] as holding Clare House and almost all of Kilcolman townland. Timothy McCoy is listed at Clare House in 1861. Richard McCoy listed there from at least 1883 to his death 1916. Mortimer McCoy sold almost all the land of Clare House in 1925. The house still exists today, still called Clare House. Clare House on 1829 to 1842 map. 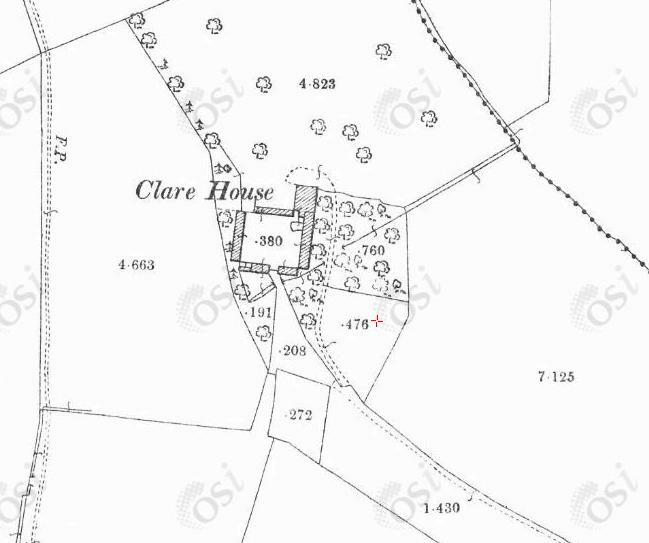 Plot no.1, which is Clare House, plus 98 acres, renting from Earl of Clare, biggest plot in townland, biggest house in townland. Plot no.2, 25 acres, renting from Earl of Clare. Clare House on 1887 to 1913 map. See modern street view from distance.